Mohammed Rafique was born September 5, 1970 in Dhaka. He is a Bangladeshi cricketer. He is the leading wicket-taker for Bangladesh in Test matches. A slow-left-arm orthodox bowler, Rafique was one of the few Bangladeshi players in the ICC bowler rankings' top fifty. He has become a permanent fixture in the national team, and is a household name in Bangladesh. To date he is the only Bangladeshi player to have taken 100 wickets in both Tests and One Day Internationals. He has also achieved the double of 100 wickets and 1000 runs in both formats. An accurate, rhythmical slow left-armer, Rafique played in Bangladesh's inaugural Test in November 2000, and was far from outclassed, producing his side's most economical figures. His career hit the rocks shortly afterwards, when his bowling action was reported as suspect, but he bounced back in May 2003, with 6 for 77 against South Africa at Dhaka. It was the best bowling performance by a Bangladeshi in 19 Tests at the time - and only their third five-wicket haul - and it spurred Rafique on to greater things. Find Mohammad Rafique profile and stats of batting, bowling and fielding including latest updated news of Mohammad Rafique, videos and images at Hamariweb.com. 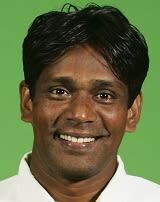 Also find detail Player profile and career statistics of Mohammad Rafique of Bangladesh. Mohammad Rafique - Find Mohammad Rafique of Bangladesh Cricket Team complete player profile, number of matches, runs score, wickets & catches, Statistics, Records, Mohammad Rafique Latest News, Mohammad Rafique Videos, Mohammad Rafique Photos, and other Mohammad Rafique Cricket Team players.